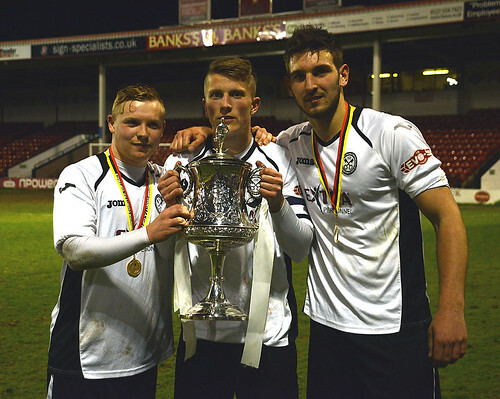 Hednesford Town won the Birmingham FA Senior Cup in style as they swept aside a Sutton Coldfield Town side in the second half to claim their second trophy in a week and move into Saturday’s league title shoot-out in imperious form. 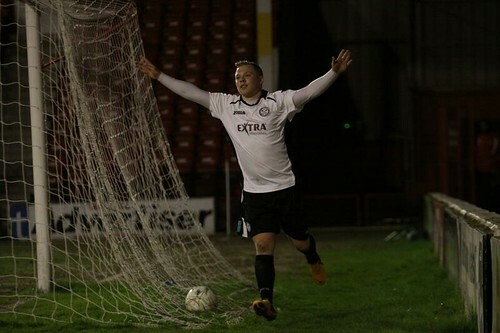 A superb finish by man of the match Sean O’Connor after a clever one-two with Aaron Rey opened the scoring on 29 minutes and on the stroke of half time a sumptuous left-footed cross by Nathan Woolfe was met by an unstoppable header by Jamey Osborne to double The Pitmen’s lead. 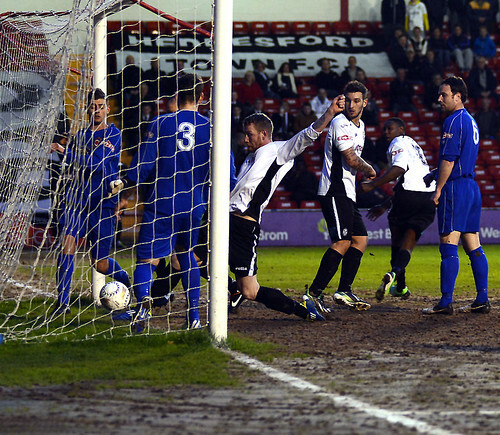 Sutton had started the better side in the opening half hour with Luke Chapman shooting over after eight minutes and Stuart McNaught hooking a shot against the inside of the post seven minutes later but Hednesford’s second goal ended the game as a contest. 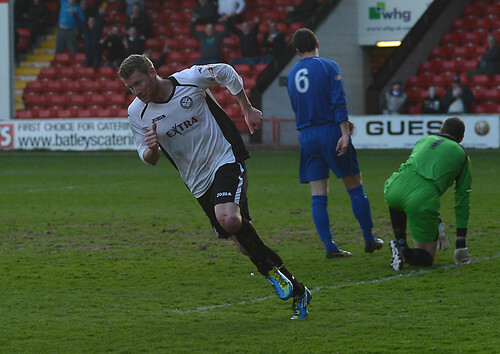 O’Connor nodded in his second goal on 59 minutes from close range after Rey headed a Woolfe corner towards goal and, despite a consolation goal for Sutton by Joel Kettle three minutes later, Elliott Durrell confirmed the trophy would be heading to Keys Park when Osborne threaded a perfectly judged ball down the left channel and Hednesford’s top scorer finished confidently. 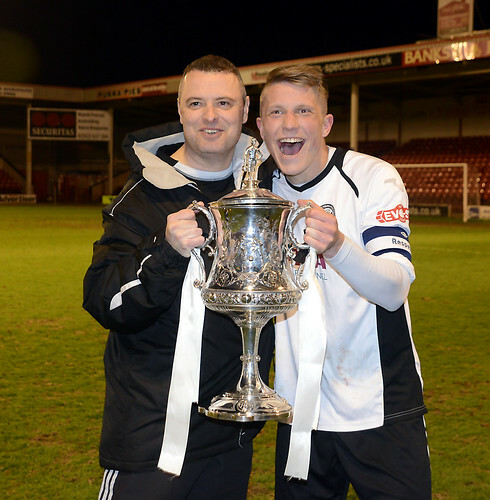 The final whistle was greeted with delight by the majority of the 775 inside the Banks’s Stadium and, after the cup was held aloft by captain Darren Campion, thoughts immediately turned to Saturday’s league title deciding weekend when The Pitmen faithful travel to AFC Fylde hoping their team capitalise on dropped points by North Ferriby United which, should Hednesford gain three points, would see Rob Smith record a historic league and cup treble.